One Miami is ideally located where the Miami River meets Biscayne Bay, at the gateway to the Brickell/Financial District Downtown Miami. 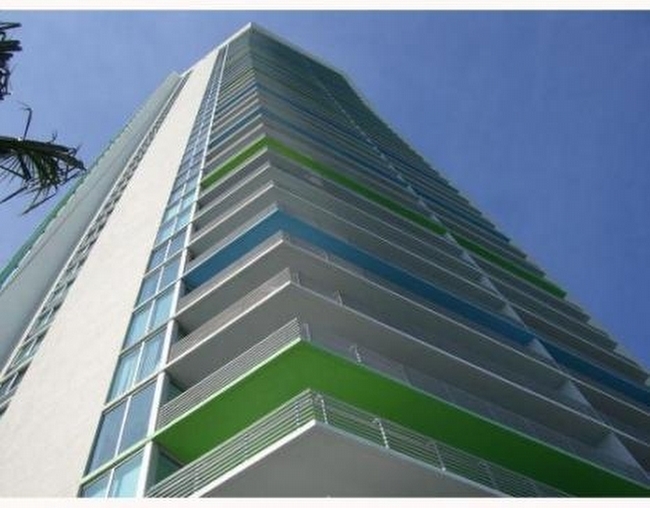 The two magnificent towers, designed by the renowned firm Arquitectonica, was among the first developments completed in the recent building boom, becoming one of Downtown Miami’s landmark buildings. Sitting on the coveted edge of Biscayne Bay, One Miami commands sweeping panoramic views of Biscayne Bay, the Port of Miami, Brickell, Downtown, South Beach, and Key Biscayne. The eleven different floor plans feature designer kitchen cabinetry with granite countertops, elegant baths, smart technology, and private balconies to enjoy the views. Amenities include swimming pools amidst lush landscaping, fitness center with the latest equipment, stunning lobby by Yabu Pushelberg, an upscale restaurant, valet, concierge, and convenient personal touch services. One Miami is in the Central Business District, walking distance to Bayside Marketplace, Epic Hotel, Met Miami, and Brickell Avenue. Smart, energy-efficient appliances, including: Side-by-side, frost free refrigerator/freezer Self-cleaning electric range with sleek cooktop, Multi-cycle pot scrubbing dishwasher and built-in microwave oven with light. Beautiful studio with Italian wood kitchen cabinets, granite counter-tops and stainless steel appliances along withmarble counter-top bath and walk-in closet. Bldg amenities incl: 2 swimming pools, Jacuzzi, Sauna, 2 FitnessCenters, 2 Party Rooms, Convenience Store, and 24 hrs concierge, security, and valet. Centrally located withinwalking distance to Arena, Performance Center, Brickell Village and minutes to SoBe, KB, Grove, Gables, DesignDistrict, Wynwood and Airport. Amazing opportunity to own this studio in the heart of Downtown Miami! Located at One Miami Condo, on the 27th floor with amazing views! First Look Initiative for owner occupants until 1/28/2019. Being sold As-Is. Per the HOA, monthly dues are $281.82 and it includes water, cable, internet and garbage. Application fee is $100.00 per married couple. Pets allowed, limit 2 per unit. No rental restrictions. 1 parking space assigned per unit. Realtors, please see Broker Remarks. Deadline to submit Highest and Best is Monday 2/11/2019 by 11 am EST. Must see to appreciate, rare 17 line with the most beautiful south view and most affordable unit facing south. Fresh painted apartment with modern kitchen, extra large walk in closet, large impact windows filling the room with natural light. Building features, 2 swimming pools, 2 gyms, 2 party rooms, sundeck, lower parking fees and maintenance then most buildings in the area. ***Comes with a large storage space worth $14,000. Vacant and easy to show! Beautiful 1bdrm 1bth condo with direct views of Biscayne Bay and Miami Skyline. Turnkey condo w/ Italian wood kitchen cabinets, granite counter-tops and stainless steel appliances along with marble counter-top bath and walk-in closet. Bldg amenities incl: 2 swimming pools, Jacuzzi, Sauna, 2 Fitness Centers, 2 Party Rooms, Convenience Store, and 24 hrs concierge, security, and valet. Centrally located within walking distance to Arena, Performance Center, Brickell Village and minutes to SoBe, KB, Grove, Gables, Design District, Wynwood and Airport. Very nice 1 bed 1 bath unit in One Miami East condo, freshly painted, perfect for investor or owner occupant. Stunning views of downtown miami, and the ocean. Close to downtown Miami, AAA, bayfront park, shopping centers, restaurants, bars, bayside, and major highways. Beautiful 1 Bedroom Unit with Ocean View in the exclusive One Miami Condo Tower. Wood and Tile Flooring, Modern Kitchen Cabinets and Granite counter top. Restaurant Il Gabiano by the Lobby. Building offers many amenities including 24/7 security and concierge services, valet parking, heated swimming pools, fitness center with cardio studio, recreation room, business center, private elevator access to the Intercontinental and more. Walking distance to the Business and Banking district, Brickell City Center, restaurants and movies. Property professionally managed by Management Miami. Owner Motivated - Open to Offers Easy to Show - Call Today. Beautiful 1 bedroom 1 bath condo with views of Biscayne Bay and Skyline. Condo has wood floors, Italian kitchen cabinets, granite countertop, and marble bath. Bldg amenities incl: 2 swimming pools, 2 fitness centers, Jacuzzi, Sauna, 2 Party Rooms, Conf. Rm., Convenience Store, 24 hrs. Security, Valet, and Concierge. Centrally located within walking distance to Arena, Performance Ctr. and Brickell Village and minutes to SoBe, KB, Grove, Gables, Design District, Wynwood, and Airport. Sales office in bldg. Are you searching for a turn key Brickell unit? The One Miami building has the best value in the area! This magnificent and turn key 1/1 features fresh paint and new carpet along with high end appliances and open kitchen. Large balcony overlooks pool area and provides fantastic view of the bay. Building offers such amenities as valet, 24 hour manned lobby, convenience store, gym, pool and sauna. 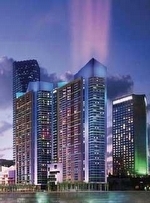 Walking distance to the new Brickell City Center, fine dining, shopping and places of worship. This one is not to be missed! Enjoy living in this beautiful totally renovated apt. Renovations include marble flooring throughout the apt, living room ceiling with lighting, kitchen cabinets, wider counter top & sink, vanities and bathroom tiles, additional door in hallway and closet doors in master bedroom. Walk to Bayside Park for shopping or outdoor events. Many fine restaurants are with-in walking distance. Just minutes to the Design Art district, Fashion district and South Beach. Building offers many amenities, mini store, gym, business center, swimming pools and much more. Unit rented until July 2019. Tenant may want to stay another year. Spectacular 2 bedrooms/2 bathrooms corner unit with direct views of Biscayne Bay, Miami River and Brickell Skyline. Enjoy high rise living with Italian kitchen cabinets, stainless steel appliances and granite countertops. Marble countertop bath and marble floors throughout. Can be sold as turnkey. Condo includes 2 swimming pools, Jacuzzi, Sauna, Sun Deck, 2 Fitness Centers, 2 Lounge Rooms, Conference Room and 24 hrs. Valet, Security and Concierge. Located in the heart of Miami and walking distance to Whole Food Market, Silverspot Cinemas, Miami Arena, Bayside, Performance Center, Brickell City Centre and minutes drive to South Beach, Key Biscayne, Wynwood, Midtown and Airport. Capturing stunning water views from the 38th floor of One Miami's East Tower, this 2BR/2BA condo is located in the highly desired and rarely available 05 line. In addition to incredible views of Fisher Island, Key Biscayne and Brickell Key, this meticulously maintained condo with split floor plan features European designer cabinetry, imported granite countertops, new range, newer front-loading washer & dryer, updated tile flooring in the kitchen and real hardwood flooring throughout. Residents of One Miami enjoy an enviable Downtown Miami address as well as a number of amenities including 24/7 security and concierge services, valet parking, heated swimming pools, fitness center with cardio studio, recreation room, business center, and private elevator access to the Intercontinental. Great Views, Miami River, Ocean and City views in the south side of the East building. Laminate Floors, White cabinets and marble counter tops. Good views from both bedrooms. Restaurant Il Gabiano by the Lobby.24hs Service Building, with all the amenities that you look for. Walking distance to the Business and Banking district, and Brickell City Center, restaurants and movies. Property is rented at $2,300 until January, ideal for investors, and for end users tenant can vacant the unit w/60 days notice. Showings: call LA 24hs in advance. Beautiful 2bdrms 2bths with direct views of Biscayne Bay, Miami River, and Brickell Skyline. Unit comes with wood floors throughout and tiles in bathrooms, Italian kitchen cabinets, with stainless steel appliances, backsplash, and granite countertop, marble tops modern bathrooms, and built in custom closets. Bldg amenities incl: lap pool, recreational pool, jacuzzi, sauna, 2 Fitness Centers, 2 Party Rooms, Convenience Store, and 24 hrs security, valet and concierge. Centrally located within walking distance to Bayside, Arena, Performance Center, and Brickell City Centre, and minutes to KB, SoBe, Grove, Gables, Design District, Wynwood, and Airport. Sales office in bldg. Spectacular views from your balcony! Corner Unit! One Miami East has an amazing direct waterfront location just minutes from Public Transportation, Whole Foods, Bayside, America Airlines Arena, the Financial District, and Brickell City Center. Condo amenities include Restaurant, sundries shop, concierge, valets, gym, one assigned parking, and more!. LUXURY HIGH RISE BUILDING, AMENITIES INCLUDE 2 HEATED POOLS, JACUZZI, SAUNA, FITNESS CENTER, CONCIERGE, 24HR SECURITY, 2 RESTAURANTS AND VALET PARKING. MINUTES FROM SOUTH BEACH. People mover just a short walk from bldg. Experience sophisticated urban living from this impeccable 2 bedrooms with 2 bathrooms unit. Granite counter tops, European cabinets, stainless steel appliances, balcony and spacious walk-in-closet. The building has resort style amenities, 24 hour valet, 2 pools, state of the art fitness center and more. Walking distance to shopping, dinning and entertainment. Building has views of Biscayne Bay, Port of Miami, Brickell and Downtown. Beautiful 2bdrms 2bths condo overlooking Biscayne Bay and Downtown Skyline.Turnkey condo w/ Italian wood kitchen cabinets, granite counter-tops and stainless steel appliances along with marble counter-top bath and walk-in closet. Bldg amenities incl: 2 swimming pools, Jacuzzi, Sauna, 2 Fitness Centers, 2 Party Rooms, Convenience Store, and 24 hrs concierge, security, and valet. Centrally located within walking distance to Arena, Performance Center, Brickell Village and minutes to SoBe, KB, Grove, Gables, Design District, Wynwood and Airport. Spectacular split unit with amazing bay and city views. Great high end building with plenty of amenities. Walking distance from restaurants, Whole Foods, AA Arena, shops and much more. Just a few blocks from I-95 exit. Currently leased until February 2020. PRICE IS FIRM!!! One Miami West Tower is a contemporary high-rise condominium building located in a picturesque area of downtown Miami. Boasts the perfect balance of a scenic nature rich home life with effortless access to the world class urban amenities of beautiful Miami.This 3 bed 2 bath corner unit feature, wraparound balcony, exquisite view of the ocean and beyond. Building amenities; residents club room, resort deck, world class health and fitness center, laundry services, high speed wifi in all common areas, 24 hrs concierge, valet, roof top pool with sundeck, tropical landscaping and more. Unit Sq Ft 1792 plus balcony Sq Ft 270. A second parking space is available for a small fee. Beautiful lower penthouse unit with unobstructed Biscayne Bay views, 3 beds/ 2 baths. European-designed kitchen cabinetry with modern stainless steel double sinks, elegant granite counter tops, smart energy efficient appliances and elegant bathroom fixtures. Marble floors throughout, walk-in closets and shades. Furnished Studio with Bay and City views includes internet and cable, one garage parking also washer and dryer are inside the unit. Excellent condo with 507 square feet located in the heart of Downtown Miami. 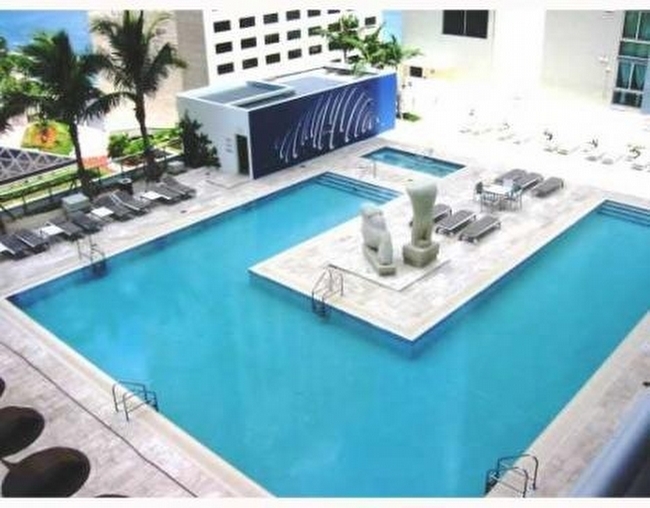 The One Miami offers the nicest amenities and pool access to the Intercontinental Hotel pool and much more. Available for an ASAP move in and can accommodate same day showings. Call or email for more information. BEAUTIFUL MODERN FULLY FURNISHED studio with great views of Biscayne Bay and Miami Skyline. Laminated wood floors and tile in bathrooms. Murphy bed, makes studio feel even bigger! Rent includes Cable TV (HBO) & Internet. Amenities: 2 swimming pools, jacuzzi,2 party rooms and 2 Fitness centers, convenience store, Conf.room., and 24hrs security, valet and concierge. Centrally located. Beautiful 1 bedroom 1 bath condo with wood floors custom window treatment and upgraded package overlooking Biscayne Bay, Miami River, and Brickell skyline. Unit comes with Italian kitchen cabinets, granite countertops, stainless steel appliances and marble bath. Building amenities: 2 pools, 2 gyms, Jacuzzi, 2 party rooms, 24 hrs valet, concierge, and security. Centrally located within minutes to SoBe, Grove, Gables, and Airport. Sales office in Bldg. Spacious and bright 1bed 1bath condo with fantastic view of the bay, cruise ships and downtown. Watch holiday fireworks from your balcony! Large bedroom and living area with marble flooring throughout. Walk-in closet and washer/dryer in unit. Safe & secure building that is within easy walking distance of shopping, parks and entertainment. Exercise room, heated pool and spa and reception desk. Beautifull views of water and skyline on Brickell area. Big balcony, wood floors, s.s.appliances, granite countertop, washer and dryer. All amenities in the building. Walking distance to restaurants, Whole Foods, groceries, and entertainment. Rent includes internet, utilities and cable. Realtors see Broker Remarks for all showings. Beautiful furnished 1bd 1bth condo with direct views of Biscayne Bay, Bayfront Park, and Miami Skyline. Condo incl: contemporary furniture w/ Dining Rm, Living Rm, and Bdrm Sets, fully equipped Kitchen, wood floors throughout, 2 Swimming pools, Jacuzzi, Sun Deck, 2 Party Rooms, 2 Fitness Centers, Conf. Rm., Convenience Store, 24/7 Security, Valet, and concierge. Centrally located within minutes to SoBe, Grove, Gables, Brickell, Key Biscayne, Design District, Health District, and Airport. Sales Office in bldg. Spectacular and spacious 1 bed 1 bath apartment, ceramic floor all throughout with stunning views of the water and downtown. Great use of space - large bedroom, bathroom, kitchen and living room. Walk in closets and washer/dryer. Wine cellar, safe, secure building that is centrally located and easy access to the highway. Please send text/email to listing agent. Beautiful and bright 1 bed 1 bath unit with an AMAZING view of Biscayne Bay, cruise ships and downtown. Spacious living/dining area with wood floors, black granite countertop, walk-in closet, washer/dryer in unit, and a spectacular balcony great for breakfast or dining. Amenities include 2 swimming pools, jacuzzi, sauna, sun deck, 2 fitness centers, 2 lounge rooms, conference room and 24 hrs valet parking, security and concierge. Building has two of the most prestigious restaurants in Miami: Il Gabbiano and Wolfgang's Steakhouse and Wholefoods is very near. Live the Miami lifestyle in a permanent vacation-mode. UNIT IS VACANT and ready. Call listing agent. Easy showing! Enjoy panoramic city and water views 400' above Biscayne Bay. Spacious 1 bedroom/1 bathroom unit with 846 sq. ft. of living space featuring European designer kitchen cabinetry with a modern stainless steel double sink, elegant granite counter-tops, energy-efficient appliances, elegant bathroom fixtures with deluxe tile, plush stain-resistant carpeting and washer/dryer combo inside of the unit. MUST SEE! BREATHTAKING PANORAMIC VIEWS OF BISCAYNE BAY FROM THIS 43RD FLOOR APARTMENT. CENTRALLY LOCATED BLDG WHERE THE RIVER MEETS THE BAY WITH ALL THE AMENITIES; OVER SIZED RESORT POOL, LAP POOLS, GYMS, RECREATION ROOMS, 24 HR VALET, CONCIERGE & SECURITY. Amazing unit at One Miami Condo West Tower right on the waterfront in Downtown Miami. Enjoy breathtaking and panoramic views of Biscayne Bay, Key Biscayne & Brickell Ave. This unit features marbles floors throughout, stainless steel appliances, washer and dryer combo, and granite countertops. Come live in paradise call now for showings. FURNISHED gorgeous apartment. DIRECT OCEAN/ WATER VIEW. 2 BEDS in each bedroom. CABLE + INTERNET+ WATER INCLUDED IN THE RENT. Italian kitchen cabinets, stainless steel appliances and granite countertops. Amenities include: 2 swimming pools, jacuzzi, 2 Fitness Centers, 2 Party Rooms, Convenience Store, conference room, and 24 hrs of security, valet, and concierge. Centrally located within minutes to South Beach, Miami Airport, Brickell, Key Biscayne. Take a walk to Bayside Park,enjoy fantastic views. IMPECCABLE 2 BEDROOM SPLIT FLOORPLAN AT ONE MIAMI. MODERN FURNITURE AND WOOD FLOORS THROUGHOUT. FULLY FURNISHED, TURNKEY AND READY TO MOVE IN ON JANUARY 3, 2018. STUNNING VIEWS OF THE BAY, MIAMI RIVER, BRICKELL KEY AND MIAMI BEACH. DOWNTOWN LIVING AT ITS BEST! 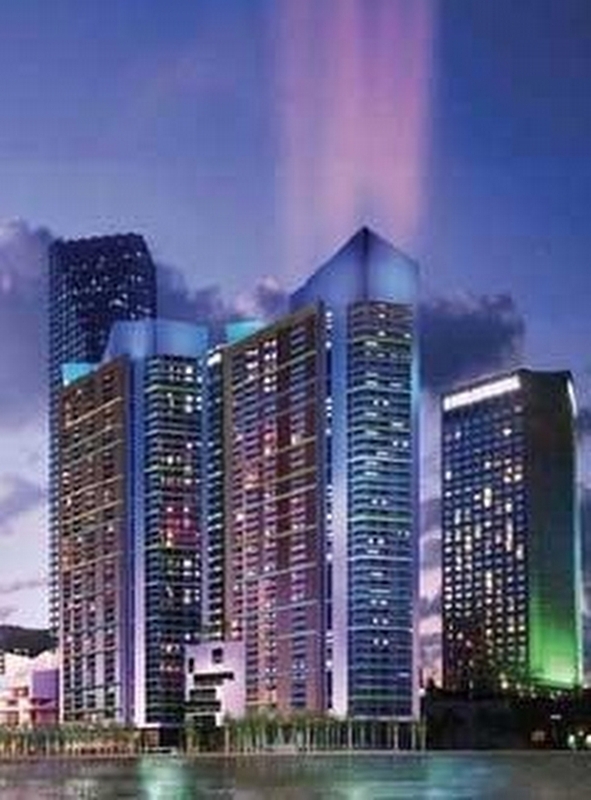 One Miami is a contemporary high-rise condominium building located in a picturesque area of downtown Miami. Boasts the perfect balance of a scenic nature rich home life with effortless access to the world class urban amenities of beautiful Miami.This 2 bed 2 bath corner unit feature, wraparound balcony, amazing view of the ocean. Building amenities; residents club room, resort deck, world class health and fitness center, laundry services, high speed wifi in all common areas, 24 hrs concierge, valet, roof top pool with sundeck, tropical landscaping and more. Unit Sq Ft 1,227 plus balcony. A second parking space is available for a small fee. Located in the heart of Downtown walking distance to American Airlines Arena, PAM Museum, Bayside, Brickell and more. Mint condition turn key furnished corner 2 bedroom unit with beautiful views of the bay and Brickell skyline, in the heart of downtown Miami area. Whole foods a couple blocks away! Cream color tile throughout. Great amenities and high-end restaurants on site! Plus a fabulous mini market! New mattress and new sofa will be installed prior to move in. Spectacular views from this 19th floor with direct bay view! Impeccable unit tiled throughout, open kitchen and great closets. Spacious floor plan with water views from every room. 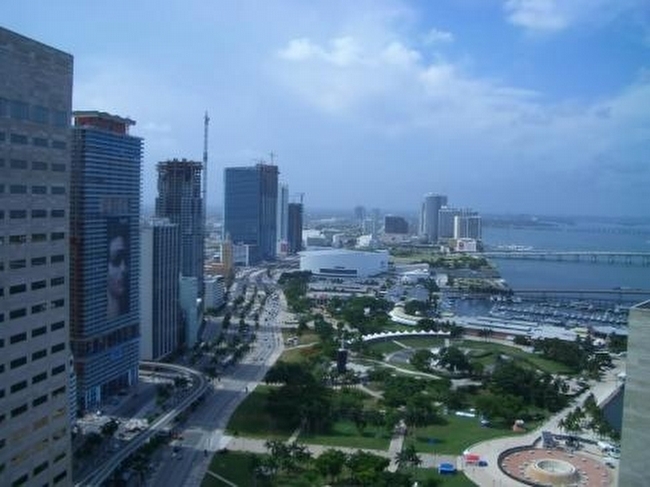 Just steps to the Metro-mover, Bayside, America Airlines Arena, college & more. Can't ask for better location. Fully furnished 2/2 apartment in the amazing One Miami Condo. The unit offers amazing ocean/river views (facing south you can see Brickell Key, Brickell Ave, Brickell Bridge and Miami's port). Laminate floors thru all the apartment and stainless steel app liances. Walking distance to downtown Miami, Bayfront Park, Bayside and much more. Cable and Internet included (provided by the Building). Impeccable 2BD/2BA w/ open space layout. This upgraded unit has white porcelain floors, Nest system for A/C and automatic blackouts in bedrooms. Each room offers en-suite bathroom for privacy and plenty of storage space w/upgraded closets. Pkg on the same floor as the unit and addl valet space available ($100). Residents have private access to the Intercontinental Hotel Amenities (Pool, deck & Spa) in addition to luxury amenities the building offers (2 pools, gym, mtg/ party room). Amazingly furnished 2 Bedroom & 2 Bathroom Condo in One Miami with phenomenal views of Downtown and the Bay. Unit features stainless steel kitchen appliances, flat screen TV's in every room, washer/dryer, and many more accents too numerous to mention. This trend setting building features 24 hour security, valet services, gym, restaurants, pools, and much more. Available Now! ENJOY AMAZING BAY/CITY VIEWS FROM THIS MINT LOOKING 2/2 UNIT. VIEWS CAN BE ENJOYED FROM BOTH BEDROOMS, LIVING AREA AND BALCONY. BUILDING IS FULL OF AMENITIES: POOL, JACUZZI, GYM, BEATIFUL SOCIAL ROOMS, VALET PARKING. WALKING DISTANCE TO RESTAURANTS AND ENTERTAINMENT AND JUST A COUPLE OF BLOCKS TO METRO STATION. A MUST SEE. Beautiful 2 bedrooms 2 baths condo with marble floors and views of Biscayne Bay and Miami Skyline. Unit comes with Italian kitchen cabinets, granite countertops, and marble counter baths. Building amenities includes: 2 swimming pools, Jacuzzi, 2 Fitness Centers, 2 Party Rooms, Sauna, Conf. Rm., Convenience Store, and 24 hrs Security, Valet, and Concierge. Centrally located within minutes to SoBe, Grove, Gables, Design District and Airport. Spectacular views of ALL of Biscayne Blvd from this move in ready 2/2 on the 20th floor, views include Biscayne Bay, Bayfront Park, AA Arena & of course the ocean... One Miami has tons of amenities, that include gym, pools, concierge, valet parking, meeting rooms, convenience store in lobby plus restaurant in the building. Rent includes cable, water, security and HOA fees. Call me today about more information or to schedule a private viewing of this unit. Tenant occupied, please request appt with at least 24 hr notice. Miami life in this spectacular best floor plan 3 bedrooms 2 baths at One Miami Building with direct views of the Ocean and Brickell Key. Tile and Engineer new wood floors, new stainless steel appliances, modern kitchen, wrap around balcony. Five star amenities building including 2 pools, party room, fitness center, conference and business center, 24 hours valet service and concierge. Walking distance to American Airlines Arenas, Brickell area, Performing Art Center and Museums. Phenomenal Direct Bay Views from every room of this 3 bedroom, 1794 sq/ft corner unit. Floor to ceiling impact windows, large wraparound balcony, split plan with 2 bedroom on one side and master on the other. State of the art fitness center, two swimming pools, expansive pool deck, two Jacuzzis, convenience store, 24/7 security, concierge & valet service and 5 Star restaurants Il Gabbiano & Wolfgang's Steakhouse. Minutes to Brickell, South Beach, Key Biscayne, Gables, Grove, Design District and Airport. Beautiful 3 bedrooms 2 baths condo with direct views of Biscayne Bay. Unit has Italian wood cabinets, stainless steel appliances, and granite countertops. Bldg amenities incl: 2 swimming pools, 2 Fitness Centers, Jacuzzi, 2 Lounge Rooms, Convenience Store, and 24 hrs. Security, Valet, and Concierge. Centrally located within walking distance to Arena, Performance Center and Brickell, and minutes to SoBe, Grove, Gables, KB, Design District and Airport. Sales office in bldg. Luxurious 3 bed/ 2 bath condo on the 40th Floor of Biscayne Boulevard, This property has the most amazing view to the beach. Text HOT to 59559 for more info.This one of a kind building has excellent security systems 24 hrs. Valet parking. Walk to Bayfront Park, the Miami Arena and the new Performing Arts Center. Building amenities include: 2 swimming pools, Jacuzzi, 2 Party Rooms, 2 Fitness Centers, Conference Room, and Convenience Store. 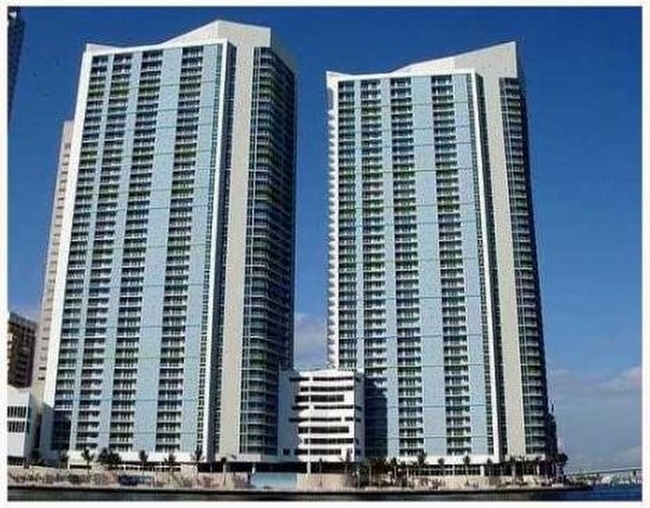 Beautiful 3bdrms 2bths condo with direct views of Biscayne Bay. Unit has Italian kitchen cabinets with stainless steel appliances and granite counter-tops and marble bath tops. Bldg amenities incl: 2 swimming pools, Jacuzzi, 2 fitness centers, 2 party room s, conf. rm., convenience store, and 24 hrs security, valet, and concierge. Centrally located within minutes to SoBe, Gables, Grove, and Airport. Sales office located in building.